INCALCANDO provides creative technology solutions for artists and musicians working with digital audio and/or visual and seeking to enhance the interactivity with their software and hardware. 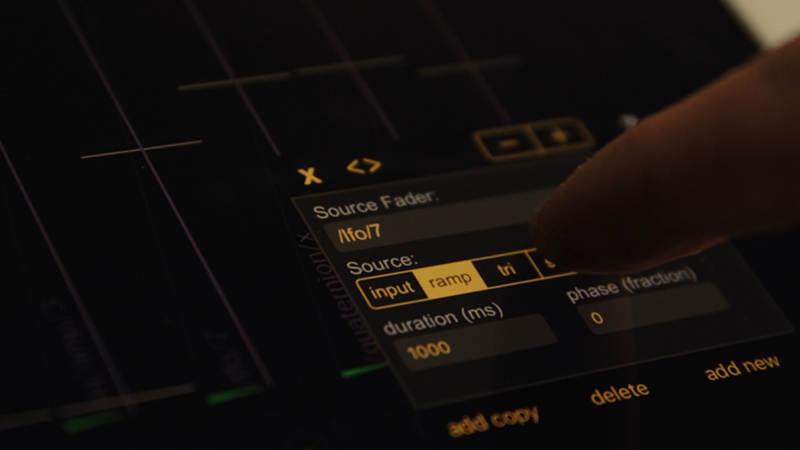 Parat+ is an interactive Open Sound Control (OSC) and MIDI controller apps for mobile devices. INCALCANDO also offers specialised consultancy on interactive technology for performance and studio. INCALCANDO offers apps developed by practitioners for practitioners. Enter you Email to subscribe to our newsletter. INCALCANDO understands that creative tools need to connect to conventional models and offer intuitive extensions to cater for the demands of creative professionals, artists, musicians and producers, and inspire further innovation. INCALCANDO’s products have been designed with the knowledge that creative work requires tools that can grow with their users, allowing individual and intuitive creative application while maintaining flexibility and diversity. Artists who are familiar with programming or proficient with highly flexible systems based on e.g. Max, PureData or Processing, will appreciate the intuitive approach to data handling and parameter mapping and, crucially, users who lack the experience to deal with sophisticated technology will find themselves empowered to embrace cutting-edge interactive technology in the most intuitive and approachable manner. By reducing the technical involvement for data handling to a minimum, the user is free to make artistic and aesthetic choices and to be guided by their own creativity, avoiding the constraints of conventional software and controllers. Parat+ allows finger gestures, recorded shapes and sensor readings from networked microcontrollers such as Arduino, Teensy, ESP6288 and x-OSC to be re-scaled, augmented, paused, interrupted and overridden in realtime at any time. Parat+ brings together the experience of developing interactive performance systems and installations over more than a decade. Prototypes of Parat+ have been employed successfully and reliably on stage and studio. info at incalcando dot com.